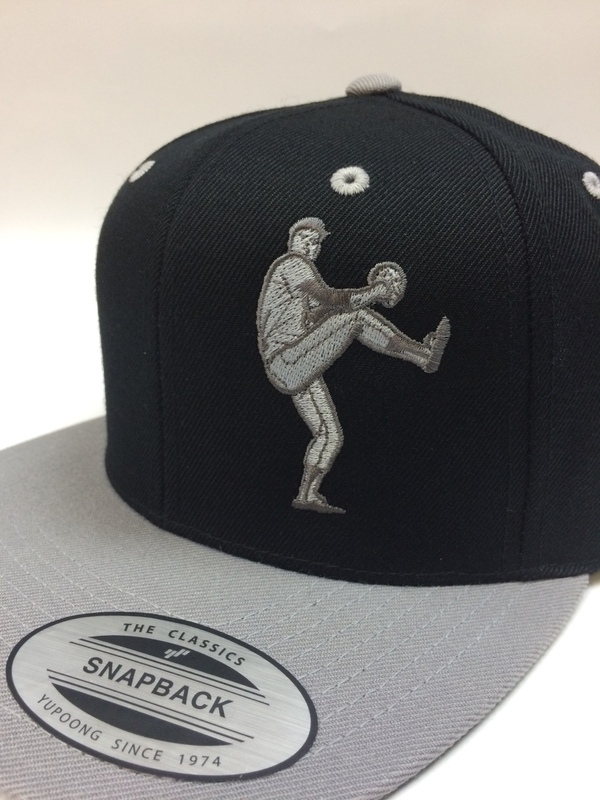 Bold, fun exciting new look for the Pitcher in you bro. Tonal grey oversize graphic. 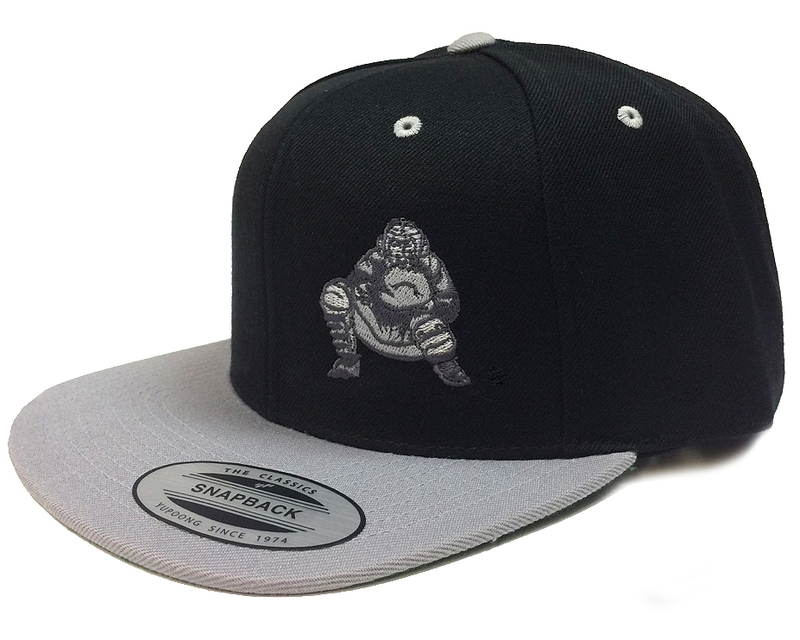 The Yupoong flat bill snapback hat is made from a 80/20 acrylic/wool blend. 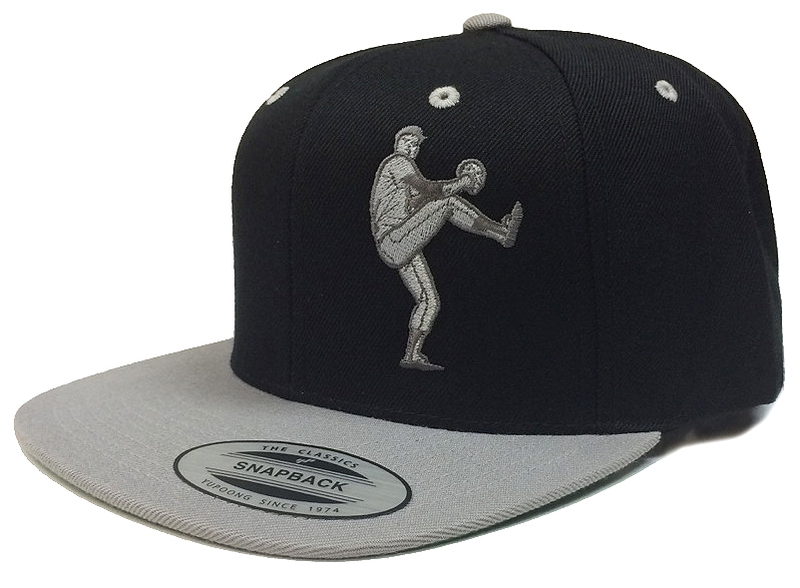 This flat bill snapback hat is structured and has a high-profile fit. 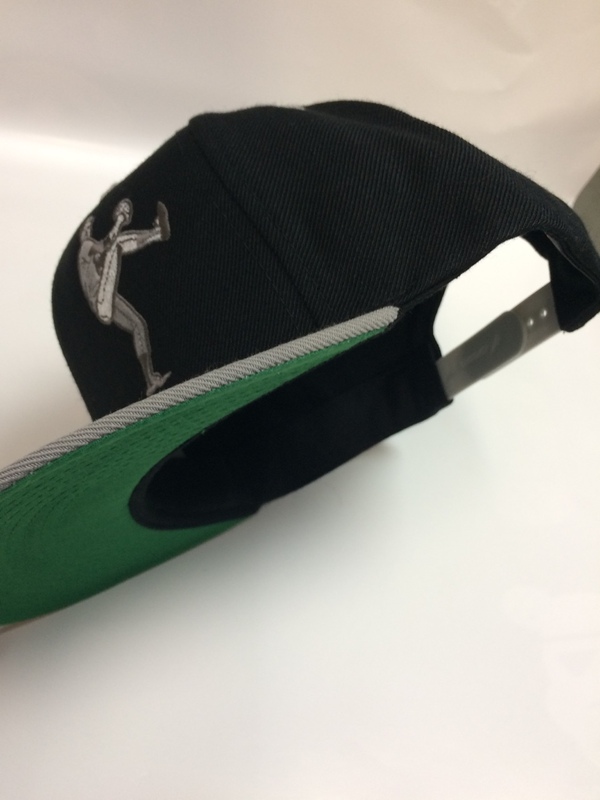 The flat bill of the this hat has a green underside. 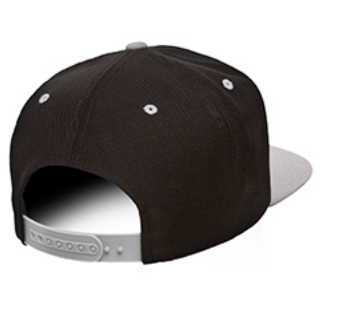 The brim of this cap can be adjusted to curve as well.